We are very happy to announce that Chelsey Brooks has joined Metro Transit as our new Social Media Manager. For the last year and a half, she has been managing KREM-TV’s website in Spokane, Washington. Chelsey developed and built mobile apps, managed all the station’s social media, and appeared on a regular basis in newscasts to let viewers know about new things happening in the digital world. Before taking the position in Spokane, Chelsey worked here in St. Louis at KMOV-TV as an Associate Web Producer and she is excited to be back. Growing up on the East Coast in New York and then attending college at Boston University, she knows how important public transit is and will work hard to keep you up to date on what’s happening at Metro Transit and the rest of the Agency. She will share important announcements and capture your feedback and comments about public transit and the Agency as a whole. She’ll take you behind the scenes to meet some of the people who provide your services, and tell some of your stories as well. I will still occasionally blog about special events Metro is involved in around the St. Louis area and will continue to take photos of events and Metro projects for slideshows that Chelsey will share with you, but after a brief settling in period, Chelsey will take the lead on the majority of our blogs and will manage our social media accounts including Twitter, Facebook, Flickr, and YouTube. Thank you for allowing me to be your primary Facebook and Twitter connection to Metro over the past few months as we searched for and then found the right person to lead our social media program at Metro. 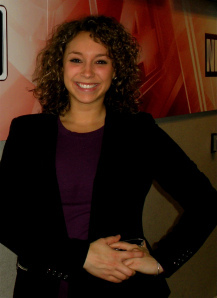 Chelsey will be a great addition to our Metro communications team. She has a lot of energy, values the work that we do and loves social media. We will organize a tweetup after Chelsey gets settled so you can meet her and welcome her to Metro. As soon as it is arranged, we will announce the date and time for the tweetup through social media, of course!